My Birthday Teddy™ has super soft fur and is 50cm tall (32cm sitting). 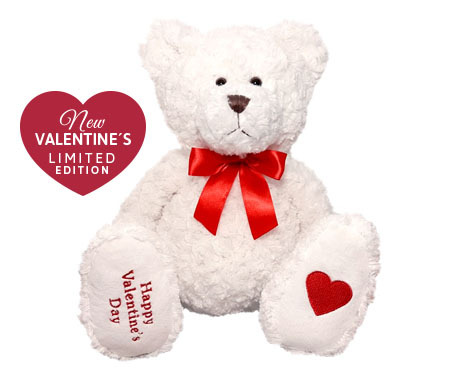 It is customised with the recipient’s name and birth-date or any special message embroidered onto the pad of the teddy’s foot and a red heart on the other paw. Your My Birthday Teddy™ will arrive with its own Birth Certificate and is beautifully wrapped in tissue paper and packaged in a special box.